This morning the rain was torrential so we hung around the house for a few hours. When it cleared we headed off to the Akrotiri Peninsular, starting at the huge salt lake. This is one of the best birding sites in Cyprus, but I've never done particularly well here. Even so, today there was an impressive flock of about 1600 greater flamingos, but they were a long way out on the lake. 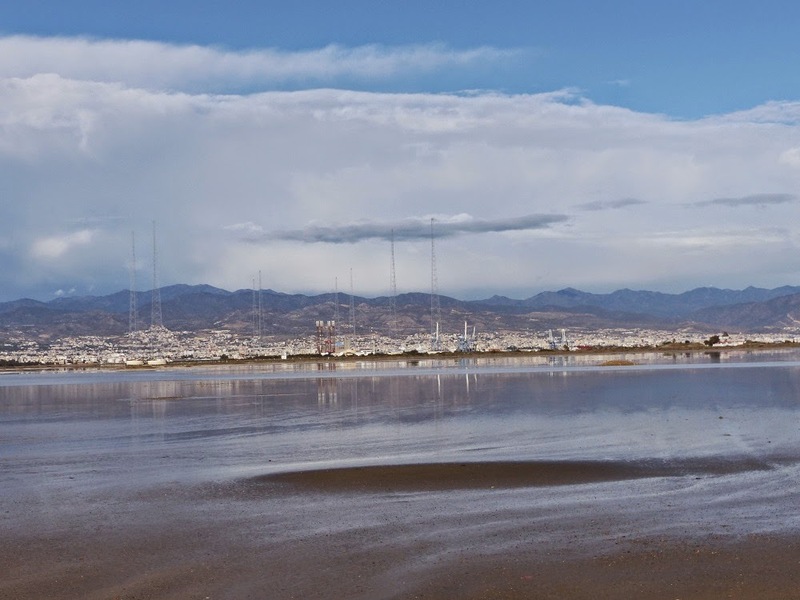 Next we headed to Zakaki Marsh. There's been a striated heron here, as recently as yesterday, but there was no sign of it today, making it the first major dip of the holiday. I wasn't too worried about it though, I didn't actually think I'd even get the opportunity to try for it. There were a few water pipits here, a marsh harrier, kingfisher, water rail and two little egrets. Then we continued onto Lady's Mile and here amongst the gull flock I was delighted to find my first ever Caspian gull. 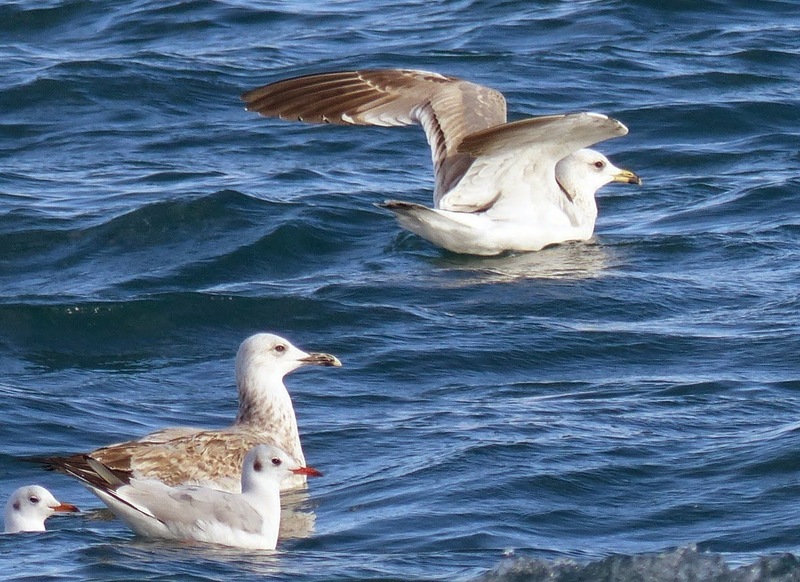 I took a few photos, and when I looked at them later I realised that there was also a Armenian gull alongside the Caspian! Another new bird for me! 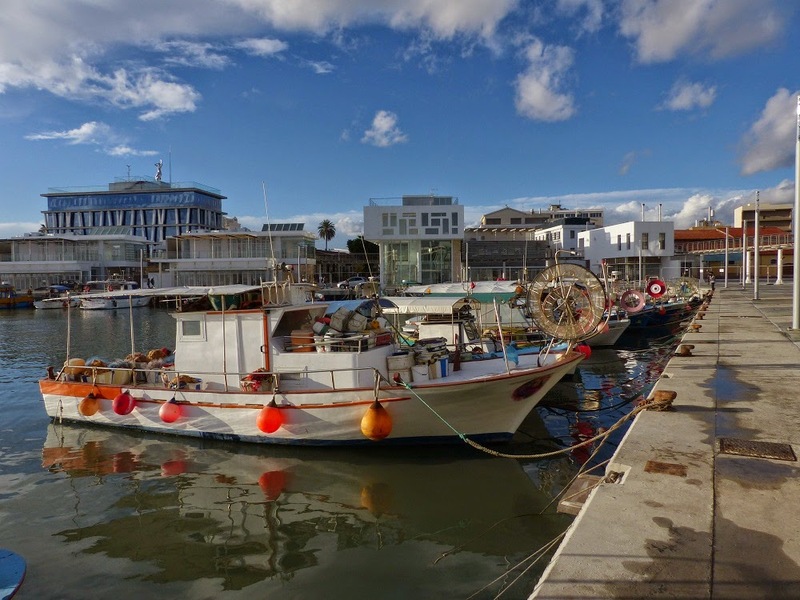 I've spoken via email with the BirdLife Cyprus Bird Recorder, and she has taken a look at these photos and confirmed that I have got my id's correct, they do show Caspian and Armenian gulls. 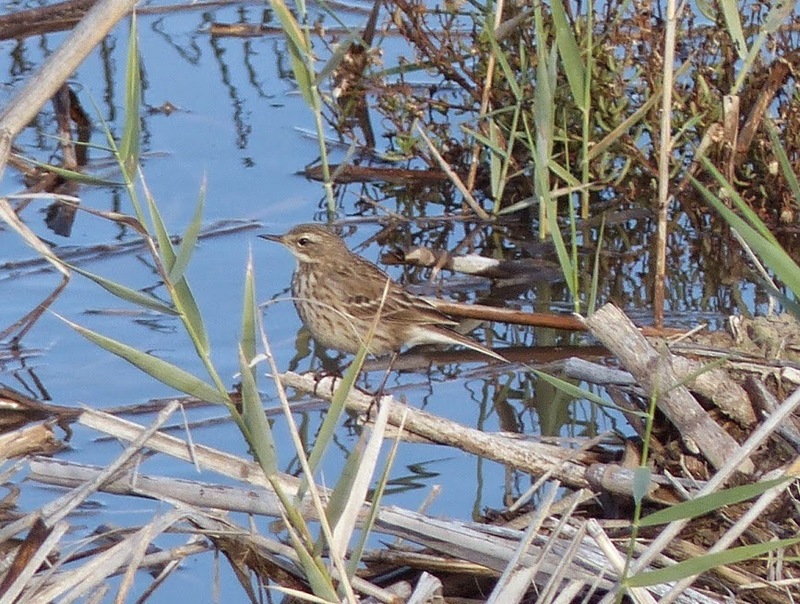 There has also been a discussion about these birds here on Bird Forums, where the identity of each has been confirmed. Nice to find them and identify them for myself, and even better to have them confirmed. I don't pretend to be a gull expert! To put this into context, yesterday there were 20 Caspian gulls and 10 Armenian gulls reported from Lady's Mile. I've never seen one before, but this is a classic Caspian gull, probably 2nd calander year. Note the ridiculously long bill and pear shaped head. This bird is on all of the following gull photos. 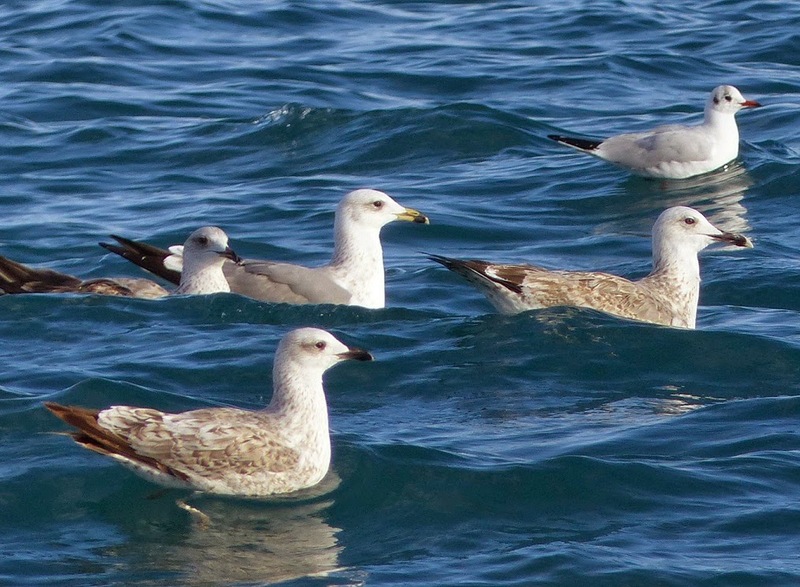 The top right bird is a third winter Armenian gull. 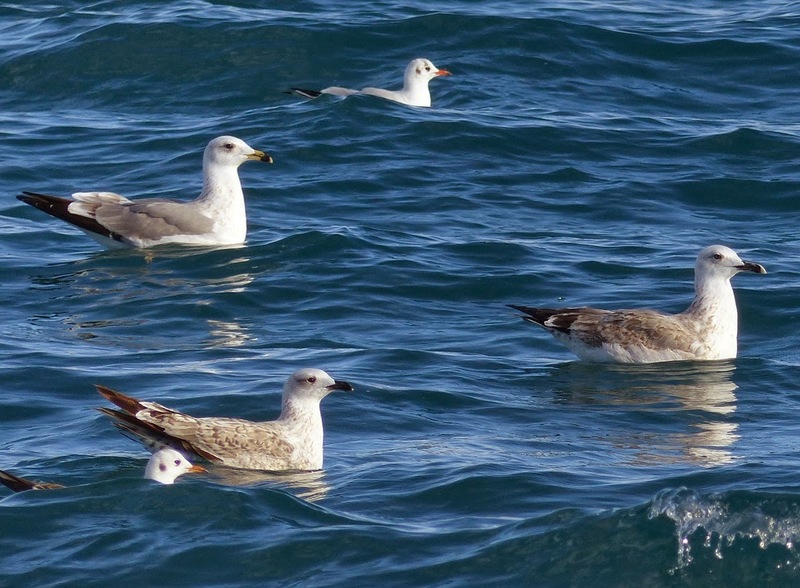 The top left bird is an adult Armenian gull. No sure what the bird on the right is, it looks too small to be Armenian to me. Possibly 2nd cy yellow legged gull? 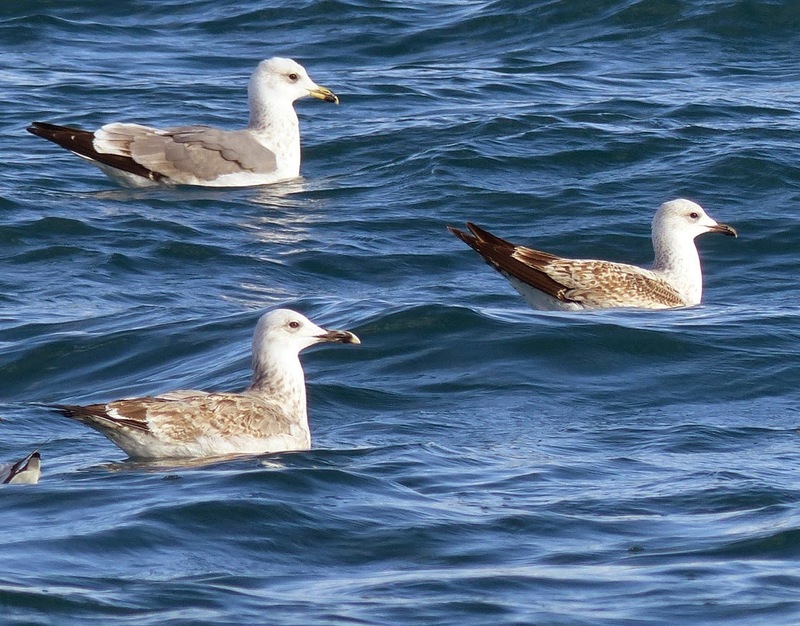 Now the adult Armenian and 2cy Caspian gulls are in the middle, but what's the bird in the foreground? 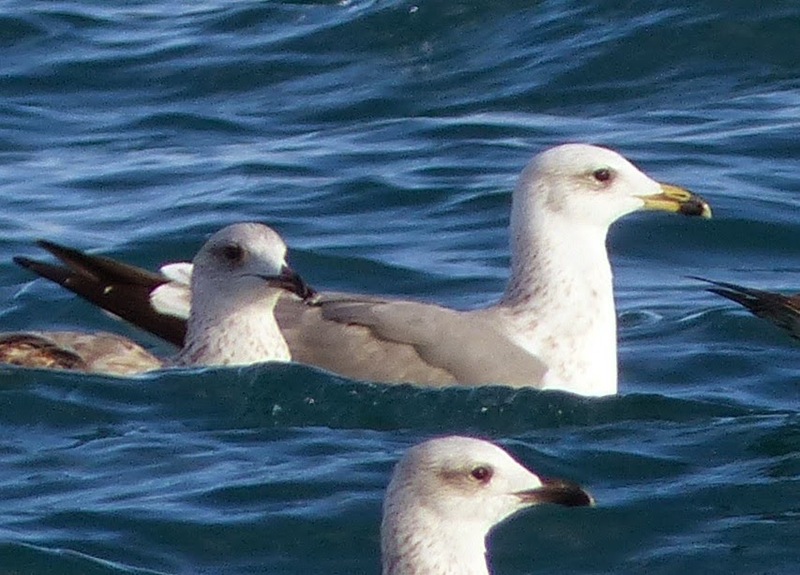 My best bet is a first winter Armenian gull. Here's a close up of the Armenian gull. Notice the flat looking head, the stubby looking parallel sided bill with a black band near the tip. Also the dark eye. 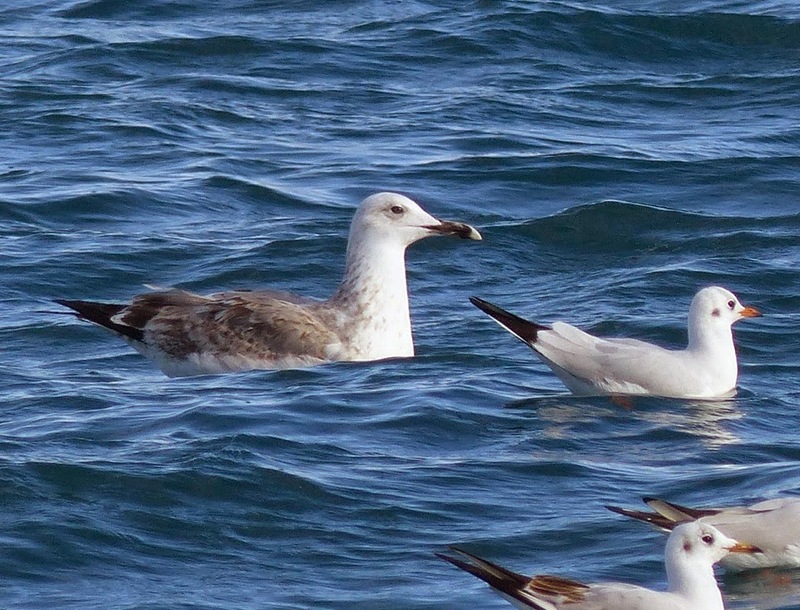 Compare this quite friendly looking profile with that of the vicious looking Caspian gull in the first photo. These are the same three birds as in the previous photo. Akrotiri salt lake with Limassol behind.